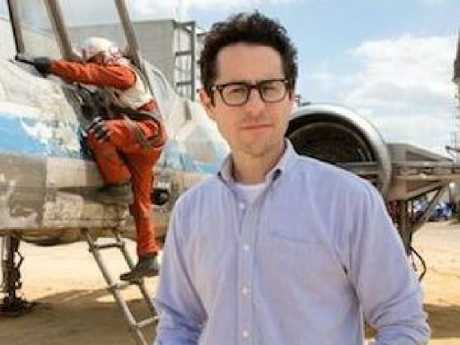 As he shakes my hand, JJ Abrams is buzzing with measured excitement. Minutes before, the notoriously secretive director was onstage giving a packed arena a sneak peek into the previously untitled final chapter of the nine-part, 42 years in the making, Star Wars saga set for release this December. It was the headline attraction of Star Wars Celebration, a globetrotting five-day official festival of all things Star Wars this year held in Chicago. After a year of avoiding any questions about the film, including what it would even be titled, JJ seemed to be enjoying the ironic twist: In answering that big question, he had left fans with a more compelling mystery - what does it mean? 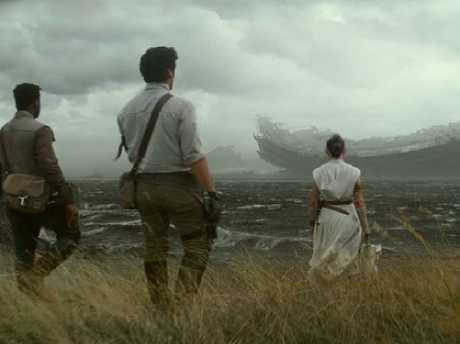 The Rise Of Skywalker's ambiguous reference to the first family of galactic Force users had Star Wars fans in a frenzy. While trying to get any type of straight answer from director/co-writer Abrams about the film is akin to banging your head against a slab of carbonite, he does offer a clue: "We're dealing with the good and the bad of what's come before, the sins of the father, but also the accomplishments." Abrams, a creative force with an impeccable record of launching franchises is faced with a rare task; to not only produce a blockbuster film that stands on its own, but to also conclude a trilogy that is itself the conclusion to a trilogy of trilogies. Pressed on the momentous weight of the task, he concedes he faced "infinite challenges and pressures," then adding with a smile "but ultimately a greater opportunity". "We had eight movies that came before it that we need to draw to a conclusion. Luckily we have characters that are rich and deep and I felt we hadn't explored them as much as we could … yet." 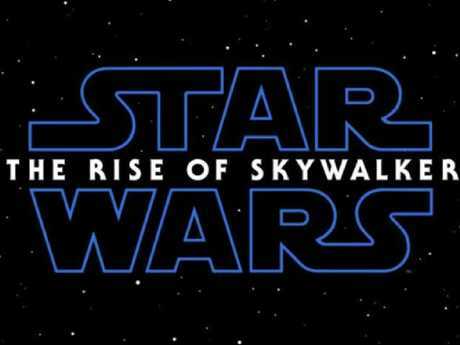 He promises The Rise Of Skywalker is: "A thrill ride, an emotional story that's surprising, fun, scary and heartbreaking." "To me is the power of Star Wars, that you can tell stories like that." While debate about the title's meaning buzzed around the convention there was also a collective shock at the instantly recognisable laughter of the long gone (we thought) Emperor Palpatine that concluded the action packed teaser. When asked how he would've reacted to the teaser's final revelation about the returning villain, JJ admits, with some satisfaction "Oh, I would be pretty shocked". 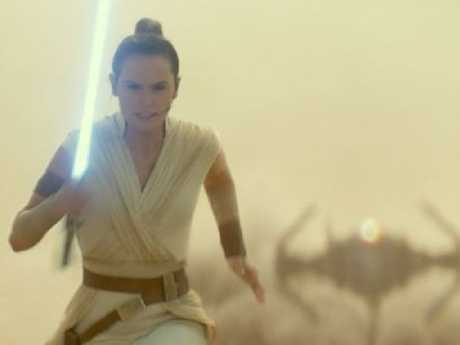 Here are five details you might have missed in The Rise Of The Skywalker teaser trailer. Is the Skywalker in question the fallen Jedi Anakin? Better known as Darth Vader, he was last seen as a Force Ghost in the closing moments of Return Of The Jedi. Or was it referring to his more recently departed son Luke Skywalker who gave his life in the shocking conclusion to 2017's The Last Jedi? Or, as Jedi Master Yoda once said "no, there is another?" Perhaps the previously surname-less Rey takes on the mantel by the conclusion of the film? 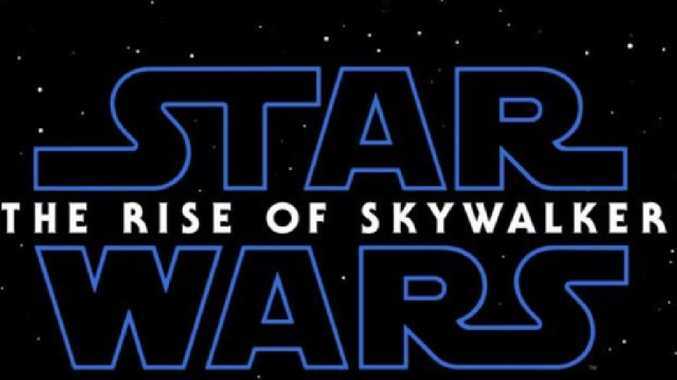 Or is Skywalker the name for Jedi 2.0? 2. THIS IS NOT A TEST … OR IS IT? While it would seem like Rey is about to fight to the death with Kylo Ren, is this a misdirection? Don't forget they have teamed up against a mutual enemy before, could this actually be how the kids today train to be a Jedi? Either way, I think that TIE fighter won't be very operational after Rey's done with it. After getting mere seconds of screen time in The Force Awakens, The Knights of Ren, the mysterious order of elite warriors who followed the dark side of the Force, are heavily rumoured to be making an appearance in The Rise Of Skywalker. But are they still under the control of Kylo Ren? 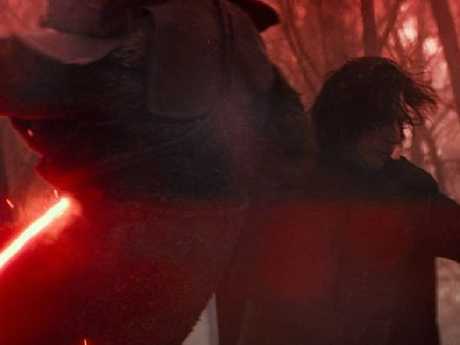 Whether this is Kylo slaying one here or not, they could make for an important chess piece in the film. 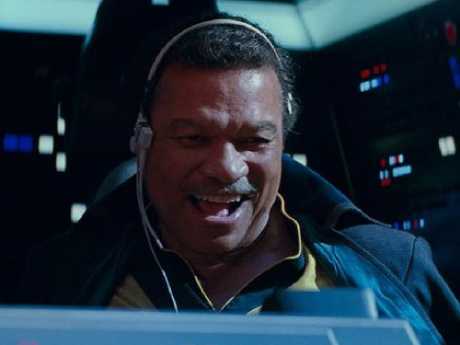 Lando is back! But hey, where's he been? So it doesn't take a Bothan to realise that that's a giant chunk of Death Star sticking out of the water, but which one? And why are they there? With the laughing Emperor in the trailer one would assume it's the second Death Star from Return Of The Jedi. Could his evil spirit be contained within? I just hope no Ewoks were under that thing! Steele Saunders is a freelance writer. He attended the 2019 Star Wars Celebration as a guest of Disney.